Home > News > Opinion > Why it is a good thing that solar geeks end up owning more oil reserves than anyone else…. Why it is a good thing that solar geeks end up owning more oil reserves than anyone else…. It was on my first day of university in South Africa. My room-mate was the first person in his family and indeed his village to get to college. While I was excited about all the parties in Freshers’ Week, I asked him what he was most looking forward to: he said that it would be “….the first time in my life when I have light to study in my room at night”. This moment with my friend Given – who is now a leading IT expert in the mining industry – remains an inspiration to me as even today two thirds of sub-Saharan Africans lack any electricity to study, work, or live. Roll on two decades of work in the energy industry, I finally got my opportunity to do something about it. I founded Africa New Energies with my long-standing business partner Brendon Raw and Shakes Motsilili, my old flatmate from University after we had been funded by a UN-affiliated NGO to find a way to help the Namibian Government to give the majority of its population electricity for the first time. 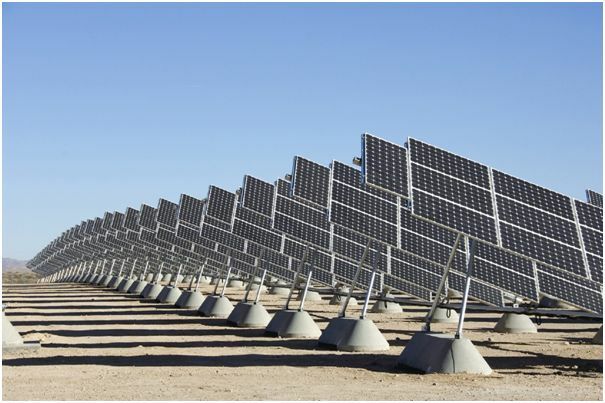 We longed to give them solar – after all, Namibia is the sunniest country on earth. But we found that it would bankrupt the place. A universal solar electricity access program would cost $12 billion or 1 year of GDP in 2011, effectively burying the country in foreign denominated debt compounded at 10%. With 55% of Windhoek’s population unable to pay their escalating electricity bills, youth unemployment at over 60% and two-thirds of Namibians lacking any kind of electricity, this was $12 billion that an investor needed to be able to afford to lose. We agonized over finding an affordable way to give everyone electricity. After modeling the alternatives, we came up with the only financially feasible solution – locating onshore natural gas, turning it into electricity on site and feeding it onto the national grid. At $600 million it will cost one-twentieth of the $12 billion universal solar electricity access program and be highly profitable at the same time – so profitable in fact that it can provide free solar energy for every family in Namibia, whilst giving investors the potential for excellent financial returns. 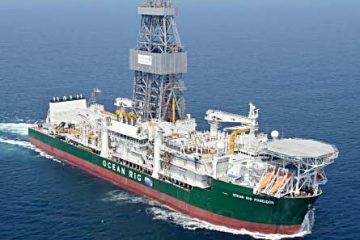 But we still had a problem, natural gas had never been found in commercial quantities onshore Southern Africa – apart from in Mozambique. It seemed as though the project would remain a pipe dream, when we were saved by the encyclopaedic knowledge of the local San, Herero and Nama people of the Kalahari: the late Paramount Chief of the Herero, who had been an unstinting supporter of our work in Namibia, rallied local communities to come forward with the whereabouts of oil seeps they had known about for decades. On one occasion a farmer told us of a strange dark gunge that came up every morning when he switched on his water well pump. We collected it and the liquid was indeed darker, and I felt a strange sense of déjà vu – a reassuring feeling of nausea that reminded me of the times I could smell the methane coming out of a Bunsen burner I inherited from a PhD student as a ten-year old aspiring chemist. 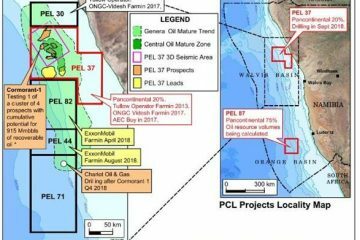 The community was right – $25,000 later, three North American labs confirmed this was indeed oil and gas, with the kerogens formed 300 million years ago from plankton, when present-day Botswana was a vast, hot, shallow inland sea. Another two ladies told of physical oil shows over three decades ago, and the community has since led us to over 800 instances over a vast area where we proved in the laboratories that there were significant paraffin gasses seeping through to the soils, indicating three distinct petroleum systems containing oil, natural gas and condensates. But we still needed more money than any institutional or angel investor could give us to prove that the local community was right. A conventional exploration program would have cost $150 million with at best a one-in-four chance of success. So we decided to engage in crowdfunding, and the best way to crowdfund is to reduce the amount of money you need in the first place. We did this by developing an integrated surface exploration method that uses satellite, small aircraft and soil-based data inputs that are integrated into a seventeen-layered algorithm. Back-testing on six thousand wells around the world has indicated that this approach triples the probability of drilling success at one tenth of the cost of traditional industry standard methods. When we applied the algorithm to the areas that the local community alerted us to, we found thirty-two potential oil and gas fields, with potentially billions of barrels of oil. Indeed, the water well that had methane seeping out of it every morning sat in the middle of a potential oil field that could span half of the area within the M25 around London. On the strength of these findings, we applied for, and were awarded, a concession area bigger than Wales, on the most advantageous terms industry experts had seen in 40 years. As we have exclusive prospecting rights for eight years (where we are two years into the license period) and production rights for a further twenty-five years on each discovery well, we effectively have the rights for a cumulative thirty-one years, in which we face no competition on an area covering over five million acres. After reducing our capital requirement by an order of magnitude, we were now in a position to exploit our next game-changing break: we were selected as the first of ten thousand companies to benefit from the UK Government’s Growth Accelerator Program, where Grant Thornton helped ANE to became the only international oil and gas company ever to be awarded Enterprise Investment Scheme status in the UK. For a UK payer, the tax man takes the majority of the risk, while all capital gains are tax free. This effectively triples our after-tax upside to downside ratio when compared to our AIM-listed peers. Since starting our crowdfunding campaign, we have been humbled by the overwhelming response of almost three hundred EIS investors who have supported us – an illustrious list that includes thirty-two of my class from school and even my own mother. Along with the £0.5 million of consulting revenues, grants and the £1 million invested by Brendon and myself, our crowdfunders have invested over £2 million since 2013, enabling us to raise £3.5 million – not bad for a project that industry experts told us would be unfundable. 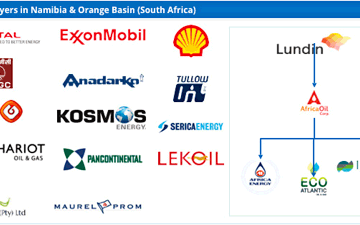 This investment has been deployed to obtain nine of the seventeen remote sensing, airborne and surface layers of evidence indicating thirty-two potential oil fields with a net unrisked prospective resource of 1.5 billion barrels of oil equivalent – about twenty-five times what Namibia needs to become electricity self-sufficient. This means that this resource in the Kalahari has the potential to help Namibia’s neighbours as well: South Africa, Zimbabwe, Angola, Zambia and Botswana all face crippling electricity shortages as they are all connected to the same Southern African Power Pool. More importantly, discovering hydrocarbons will fund the clean electricity provision to all Namibians and provide a repeatable template for sub-Saharan Africa, so that the 600 million people in Given’s position will be able to study at night for the first time.Now we need your help in order to raise another £1 million to complete the last eight tests of our pre-drilling program. We then plan to raise another £3.5 million – to spud our first thin-well using an innovative new technique that reduces drilling costs to one sixth of those quoted by an international oil services company. As we are valuing each prospective barrel at 1.1 cents, drilling success could potentially result in investor returns as the oil and gas can be sold for $50 dollars a barrel based on the current market price. If you are interested in becoming involved in the project, please feel free to contact me on LinkedIn. By Stephen Larkin, originally on LinkedIn.